According to the Department of Social Welfare and Development (DSWD), only 20% of the population receiving conditional cash transfers (CCTS) are operationally problematic. The constraints offer some clue as to how the use of m-money might be unfeasible in these locations. In particular, it will be unfeasible for m-money to work in areas where there are no cellular signals, which likely accounts for part of the difficult to reach 20%. Nonetheless, would it still be beneficial to consider the implementation of m-money in other areas? At present, there are various modalities for delivering conditional cash transfers to their intended beneficiaries. These different modes consider the availability of Landbank branches, or in its absence, possible partner rural banks, and postal services (PhilPost). The expense for the DSWD vary per option. For those using Landbank/cash cards, there is no additional costs except for the initial cost of providing cash cards. For partner rural banks, the rates vary between 22 to 40 pesos (about US$.50 - $.91). Using Philpost, a government-owned corporation, the cost is 50 pesos. If none of these are feasible, then other groups bid to provide the service. By bidding this out, the cost of using other private conduits has gone down from Php75 initially to only Php42. In terms of using m-money as an alternative, the question is whether it can deliver to beneficiaries at a cost less than other modalities in areas not serviced by Landbank/cashcards, but where access to mobile services are present. We considered the technical and financial feasibility question, by visiting an area where GRemit has operated, San Jose, Mindoro Oriental. In the past two years, at least half of CCT funds that have been distributed there were delivered through GRemit, albeit not through a “pure m-money model.’ There is also operational m-money infrastructure in the area (e.g. GCash and Smart Money/Padala). We surveyed CCT beneficiaries that GRemit was already servicing and asked about their interest, access, and previous experience in using m-money through cellphones. The majority of respondents (71% of 307 respondents) expressed interest in receiving CCT through the mobile phone. Relative distance to known claim/redemption centers for mobile money was significant with regards their willingness to do this. Those who were closer to a known cash-out center were also more willing. In terms of mobile phone ownership, almost half (49%) of the respondents owned a mobile phone, and a majority subscribed to SMART (90%). Interestingly, ownership of a mobile phone was not statistically significant as to whether they were interested in m-money for CCT. This suggests that even those who currently do not possess a mobile phone are open to this option. This also means, that if this is to be universally rolled out, then the cost of providing mobile phones to the beneficiaries must be considered in design implementation. 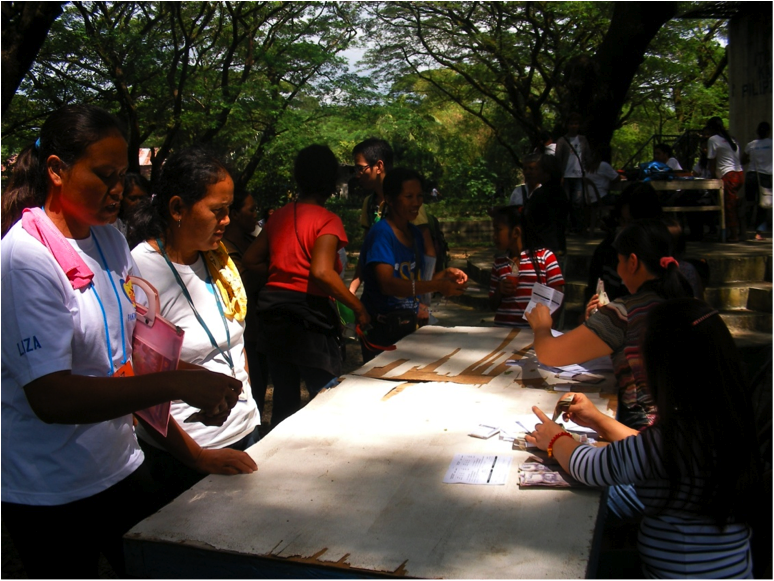 Photo 2: Beneficiaries wait for their names to be validated. In the background mobile stalls sell toys, clothes and food. Overall, a third (34%) reported knowledge of receiving money via the mobile phone. People’s pre-existing knowledge of the use of m-Money was also statistically significant with regard to willingness to use it as a transfer conduit. Those who knew how to use m-money were more willing to have CCTs delivered through their mobile phone. Furthermore, those who had previous experience using mobile money were also those who reported interest in receiving their CCT in this manner. More of them were familiar with and had experience transacting with SMART Padala centers than with GCash merchant partners. Partly this was because more of them were SMART subscribers, and there was a greater presence of such outlets in the area (see Photo 2). A third had already experienced using SMART Padala, and only 1.5% had used GCash. Although training non-users would be still be needed for implementation of CCT thru m-money, the existing experience in the community can be helpful in its acceptance. To be financially feasible, cost efficiencies and potential savings (for both the government and the beneficiaries) should be demonstrable. The DSWD expressed preference for more frequent CCT releases at smaller amounts. However, if this is done, the operational costs would be greater because of manpower costs and expenses directly connected to its distribution and compliance monitoring. Would m-money provide a financially viable option in such a case? At current market rates, it was calculated that at smaller increments (cash transfers lower than Php2000), both GCash and SMART Money can be delivered at a rate lower than what is currently being charged by DSWD’s conduits (i.e. MLhuillier or GRemit). SMARTMoney charges for the sender are also lower than what GCash charges (Php10 vs Php40 respectively). With amounts larger than Php2000 (about US$46), GCash becomes less viable, whereas SMART Money continues to be a viable alternative. At present, the maximum benefit provided on a bi-monthly release is Php2800. This would cost Php15 for the sender if coursed through SMART Money, and Php60 if coursed through GCash. Photo 3: Merchants hand out money to beneficiaries. Barangay Central and San Agustin. Costs on the part of the cash transfer recipients can also be compared. 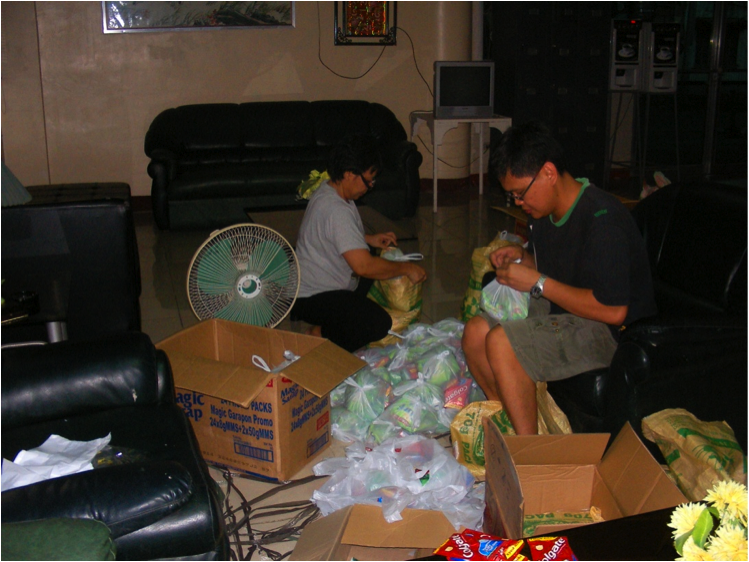 For CCT beneficiaries, their primary concern is the travel expense. However, transactions using SMART Money has additional charges, whereas GCash does not. It was also noted that the different cash out centers we interviewed in San Jose were not consistent in their policy as far as cashing out was concerned. This implies, that if CCT is implemented in this way, then m-money merchants must be duly trained/informed; and beneficiaries taught the correct deductions, if any. For smaller cash transfers, GCash and SMART Money, even with their additional charges, are competitive and even better than the current amount DSWD pays for delivering the amount per beneficiary, particularly for transactions below Php2000. GCash is not viable with bigger transactions (higher than 2000), whereas SMART Money becomes less attractive once money transferred is higher that Php2700. But, given the large volume of money possibly coursed through this system, the government may want to negotiate for reduced rates. Nonetheless, there would still be limitations on m-money viability. It would be dependent on the scale of availability of these services, and accessibility of their cash out centers in the areas being served and the transportation costs for accessing them. Even as mobile phone coverage increases, there will still be areas where access to mobile phones is not universal. As such, an important consideration for CCT implementors is whether to provide this option only to those with mobile phones, and/or to provide mobile phones to beneficiaries as well. Rolling out this program would be easier to implement in areas where cash out centers already exist. There, existing knowledge and experience in receiving cash transfers through phones are more likely, and community knowledge can be leveraged to help convince and train non-users. Financially, an m-money based CCT can be viable, particularly for small and frequent transfers. Further, since there are two kinds of mobile money platforms in the Philippines, another consideration is to which existing networks the majority of beneficiaries in an area are subscribed and the ubiquity of partners/merchants present there. This can reduce barriers to adoption and generate positive interest in the proposed modality. 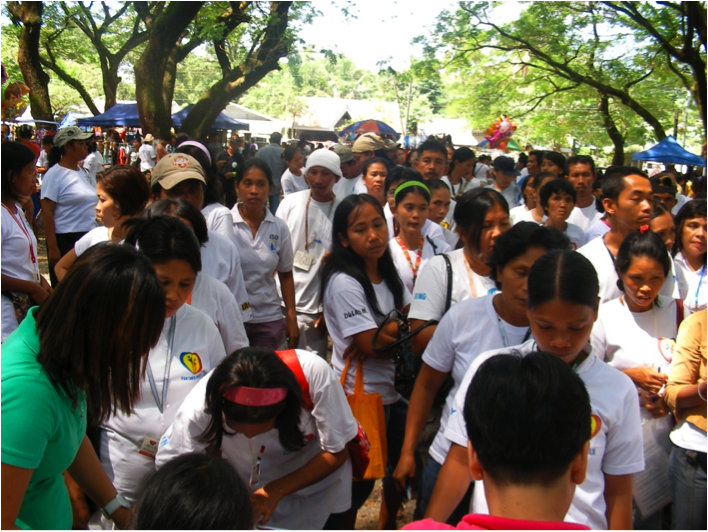 Read the first post, "Use of m-money for conditional cash transfers in the Philippines: Part 1 of 3"